It’s Throwback Thursday and my mother just posted this shot of me on Facebook. 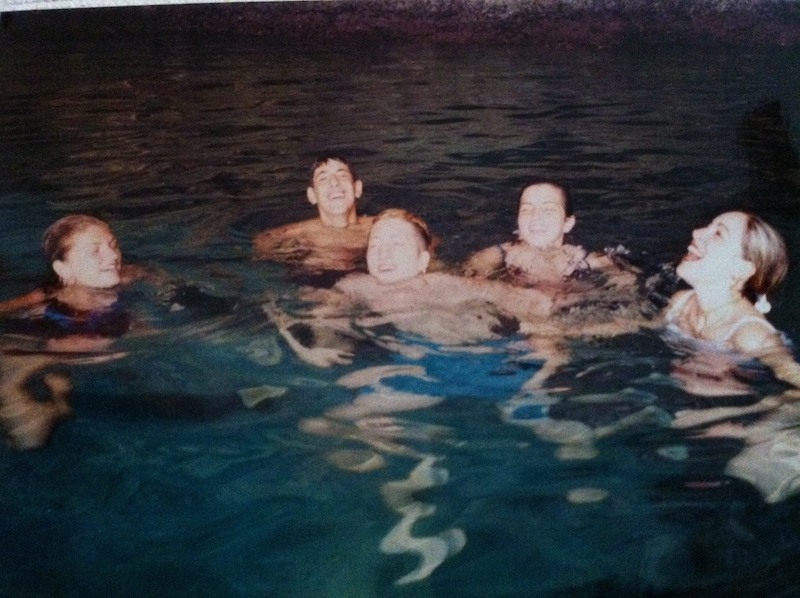 It was 1998 and my cousins and I were on a tour of the Blue Grotto in Malta. The water in the cave is actually STILL BLUE when you pick it up and hold it in your hand because of specific algae that resides in there. At least, I think that’s the reason. Either way, the water is SUPER SPECIAL. You probably can’t really tell in this shot because it’s dark – but trust me – we were all blown away by it all. None of us were prepared to go swimming – but that didn’t stop us. We all wanted to experience the water. So, in the middle of the Mediterranean Sea and inside a creepy and dark cave, we took our shoes off and jumped right in. No questions asked. I can’t say I’ve lived so freely in quite some time. Seeing this picture put SUCH A SMILE on my face this morning because I TRULY remember this moment. I was afraid of octopuses. I swore we were all going to die but I did it anyway because how could I resist such beauty? We were having so much fun living in the moment. What a great reminder to stay present and to start taking chances again! !